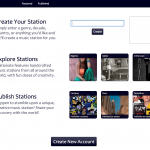 Stationate, a portmanteau of station and create, allows music listeners to instantly create stations and discover new music. Stationate finds music which relates to a provided station name and allows the listener to immdiately begin listening. Station names can be a music genre, a place in the world, an emotion, or anything else! 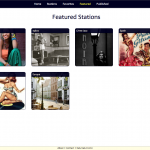 When listeners create a new Stationate account, they receive the ability to organize their stations, favorite discovered stations & songs, and publish their stations to the world. 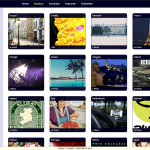 Stationate features a seamless music player that plays music in background while browsing the site with a modern HTML5 browser.